Many parents want to create savings accounts for their kids – for one or both of funding their education or giving them a head start on life. In this post, I’ll focus on the different types of accounts you can use for the latter purpose – giving them a little (or maybe more than a little) money to get started. Savings accounts for kids can also be used if your children receive an inheritance, such as from a grandparent or other relative. I’ll talk about saving for education in a separate post, as it is a lengthy topic all by itself. There are several ways to save for your kids. They range from easy – for example, just open an account in your name with the intention of giving the money to the kids – to quite complicated and possibly expensive – for example, setting up trusts. Besides the ease of the process and the expense, your choice will also depend on when you want your children to be able to access the money and your and your kids’ tax situations. Open an account in your name. Create an account under the Uniform Gift to Minors Act (UGMA) or Uniform Transfer to Minors Act (UTMA). Before making gifts to your children, you need know that there are tax rules in the US about gifts themselves as well as any investment returns your children earn. Information from the Internal Revenue Service (IRS) about gifts can be found at this link. Each individual can give another individual a gift of up to the gift tax limit ($15,000 in 2019) each year without any tax consequences. For example, each of a father and mother could give their daughter a gift of $15,000 for a total of $30,000 in a year and there would be no additional tax reporting or taxes. If you make a larger gift, the portion in above the gift limit is called an excess gift and needs to be reported to the IRS. According to Schwab’s web site, you do not have to pay gift tax to the IRS as long as the combination of your gifts in excess of the limit and the amount you give to people as part of your estate when you die doesn’t exceed a stated threshold ($11.18 million for 2019 through 2025). I believe that the excess gift and estate tax limit in some states is much, much lower. If you are fortunate enough to be able to make large gifts, I suggest you contact your tax advisor to ensure you understand the tax ramifications. A child’s unearned income (e.g., interest, dividends and capital gains) exceeds $2,100 may be subject to tax, according to the IRS web site. As outlined at that link, in some cases, parents can report the child’s income on their own tax return. In other cases, the child must file its own tax return. The 2019 Federal tax rates on child’s taxable income go up very quickly, as shown in the table below. Taxable income includes all earned and unearned income. If you choose to gift large amounts of money to your children, you will want to consider whether you can include your child’s income on your return, the complexity of filing a separate return for your child and the difference in the taxes on your income as compared to your child’s income. 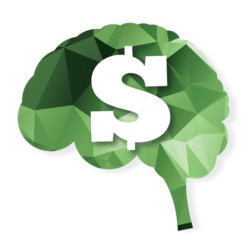 The easiest way to open a savings account for your kids is to open a bank or brokerage account in your name and know “in your mind” that you intend to give the money to you kids. The advantage of this type approach is that you have complete access to the money and can change your mind about giving it to your children. Of course, that defeats the purpose of setting aside money for your kids! You will report any interest, dividends or capital gains from the account on your tax return, as you own the account. If you use this approach, you’ll want to be careful of the gift tax rules when you transfer it to your child. The value of the account may exceed the gift tax limit when you give the money to your child if you have been contributing to it for many years and/or it has grown through investment returns. Another form of savings accounts for kids is a joint account at a bank or brokerage account. That is, both your and your child’s name will be on the account. We took this approach for our children to teach them about saving. Some of these accounts allow your child to deposit or withdraw money at any age, while others allow only you to make transactions on the account. If you choose a truly joint account (which means your child can make withdrawals), you need to be certain you can stand watching them withdraw the money and spend it on their own. I will admit I was surprised at my emotional reactions to watching my children spend money. They were much stronger than I would have guessed. According to Pocket Sense, if your child doesn’t file a tax return, you will report the income, gains and losses on the account on your tax return – the same as if you open the account on your own. If your child files a tax return, you’ll report all of the income as yours, but you then deduct your child’s share from your return and report it on his or her return. In addition, the amount you deposit into the account is considered a gift to your child in the year it which it is withdrawn. 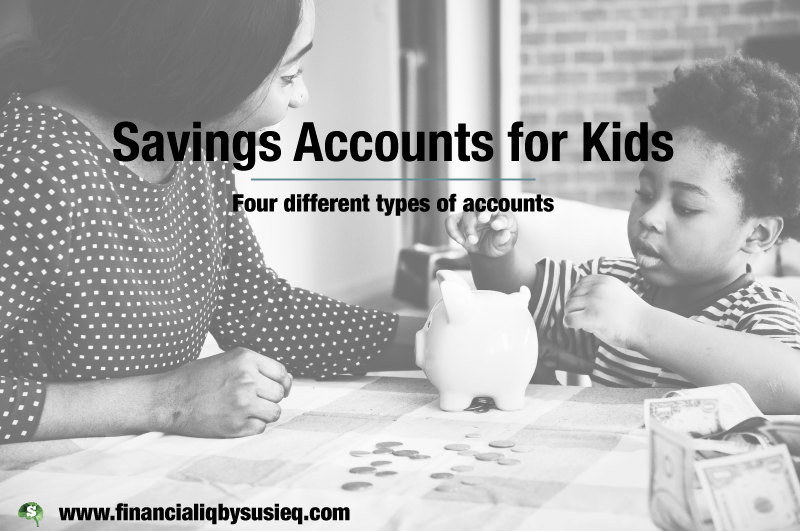 There are two types of savings accounts for kids that give you a bit more control over the money than a joint account. These accounts are Uniform Transfer to Minors Act (UTMA) and Uniform Gift to Minors Act accounts. UTMA and UGMA accounts are easy to set up at a bank or brokerage firm. Someone, often the parent or person who opens the account, is identified as the custodian on behalf of the minor (the beneficiary). 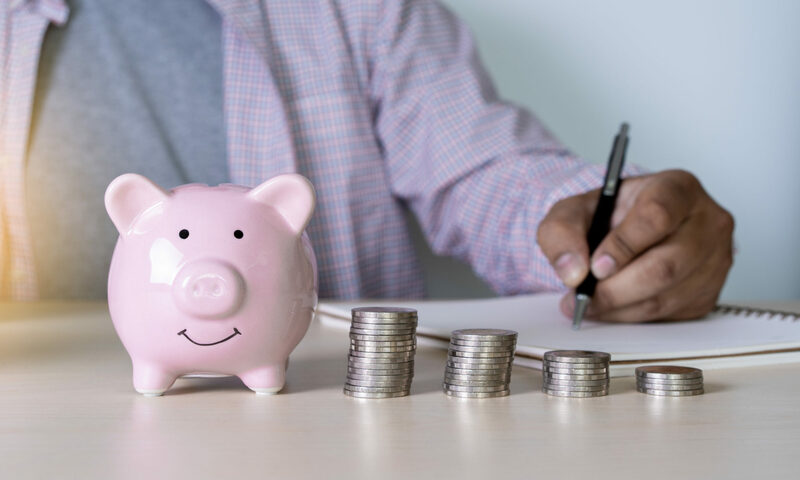 The money in these accounts can be used by the custodian for the benefit of the minor, though there are fewer restrictions on how money in an UTMA account can be spent than an UGMA account. Broadly, expenses that parents usually pay for their children, such as food, housing and clothes, are considered to be “for the benefit of the minor.” At ages established by each state individually for each type of account, often 18 for UGMA accounts and 21 for UTMA accounts, the beneficiary becomes solely responsible for the account. These accounts have the benefit that your child can’t access the money until they are at least 18. They have the drawback, relative to a joint account, that you can use the money only for the benefit of your child. The money you put in an UTMA or UGMA account is considered a gift when you deposit it. Any interest, dividends or capital gains will be reported as the child’s income, so you might have to file a tax return for your child if he or she has enough income. Another legal structure you can use when you open a savings account for kids is a trust. A trust is a legal entity that requires a trust agreement and gets its own tax ID number. The trustee is the person who oversees the trust until the child receives the money. We created a trust for each of our children, as they each received an inheritance that stipulated that the money be put in trusts, and had a lawyer draft the trust agreement. I suspect there are books and websites that will help you do it yourself as well, but you’ll want to consider the cost of establishing a trust as you decide it this option is best for you. Once you have created the trust, you can then open a bank or brokerage account on its behalf. The trust agreement will specify who can withdraw money and for what purposes. One of the advantages of a trust over an UTMA or UGMA account is that you determine the age at which your children receive the money. In some cases, people even release portions of the money to their children at two or three different ages. If you are concerned about your child’s ability to handle money responsibly, a trust will allow you to delay distribution of the money to them until they are more mature. Trusts always needs to file a tax return separate from you and your child. The 2018 tax rates for trusts are the same as those shown above for children shown earlier in this post. Any deposits into a trust are considered as gifts by the IRS. This table shows a quick comparison of the four different options I’ve described here. Previous PostPrevious Should Chris Pay off his Mortgage? Next PostNext My Next Car: Pay Cash, Borrow or Lease?